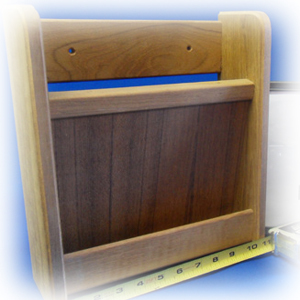 The teak goods are of the highest quality. 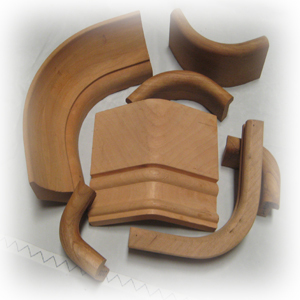 If you are rebuilding a galley, outdoor kitchen or redesigning your vessel we have all the products for you. We have one and two drawer inserts which allow you to easily install a drawer on any flat surface. The cup and bottle holders come in many different configurations from 2 cups or two bottles up to 4 bottle or six cups, and magazine racks make for perfect additions to any boat. 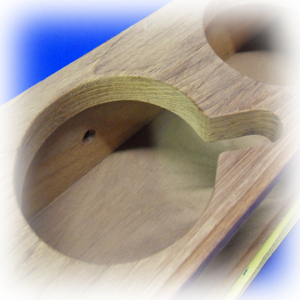 We carry teak paper towel and toilet paper holders to allow you to get rid of those inferior plastic ones. Our teak steps and cockpit tables also make for nice upgrades to any sailboat. The louvered and solid doors make easy work of rebuilding the interior or exterior of your boat. 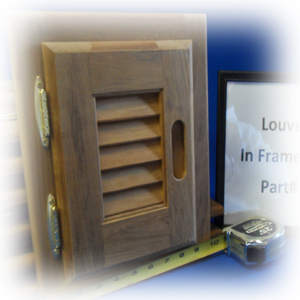 The teak grating we have in stock comes in 3’ by 3’ pieces, 3’ by 4’ or 3’ by 5’ pieces. 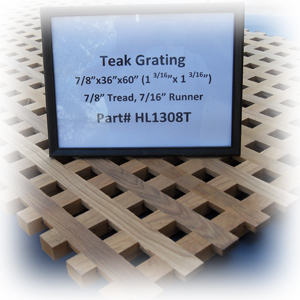 These teak grates come in a multitude of thicknesses for a variety of applications. 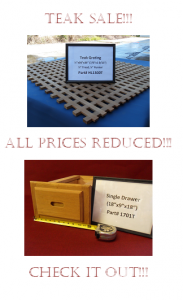 We carry a wide variety of the teak grating meant for shower floors, cockpit grating or can be added to a bench seat for comfortable, attractive, weather proof seating. We supply a large quantity of tiller handles specifically designed for many different sailboats. These tiller handles as well as all of our teak furniture was manufactured by H&L Marine Woodwork. Each tiller handle is laminated and varnished for durability and long life. All of this furniture is constructed of the highest quality.